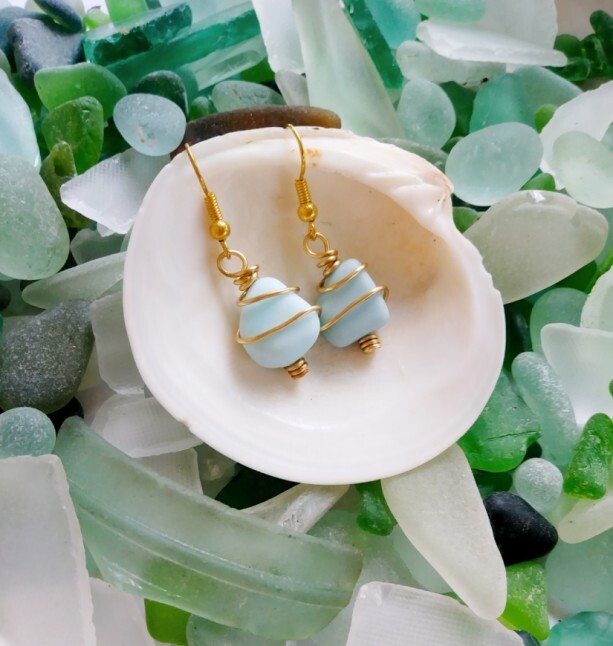 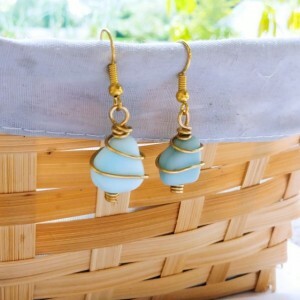 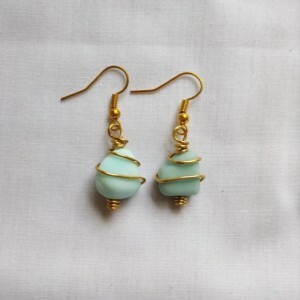 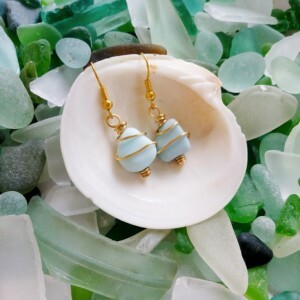 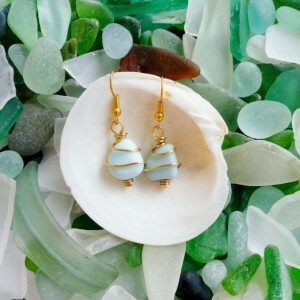 Gorgeous, delicate blue milk glass, surf tumbled smooth by the oceans off the coast of England. 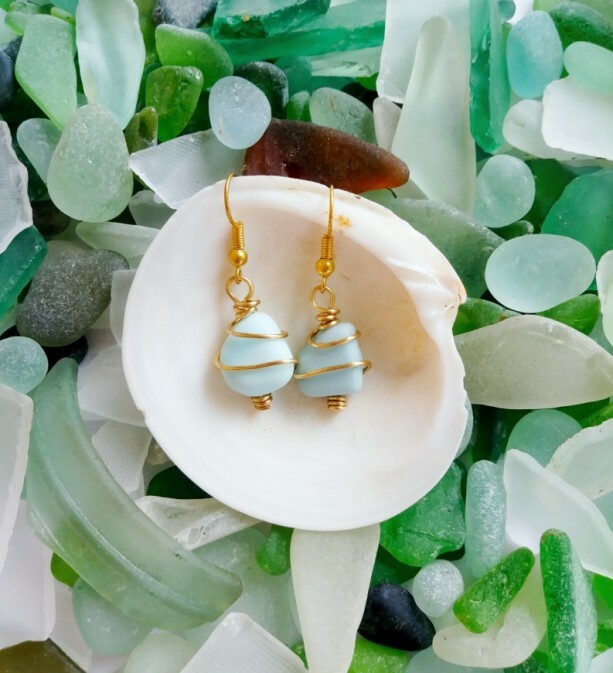 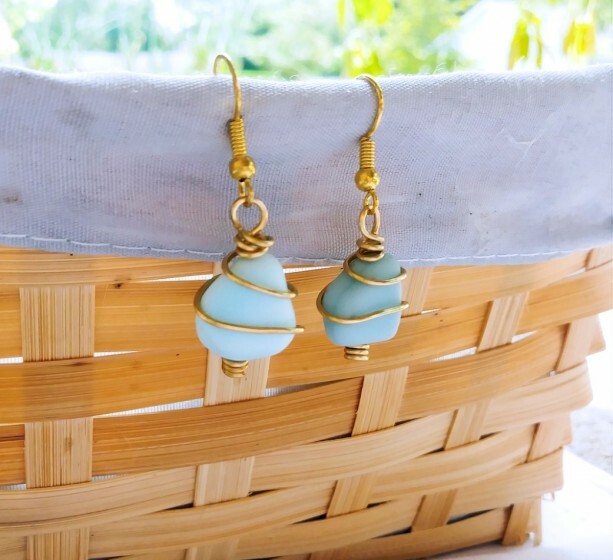 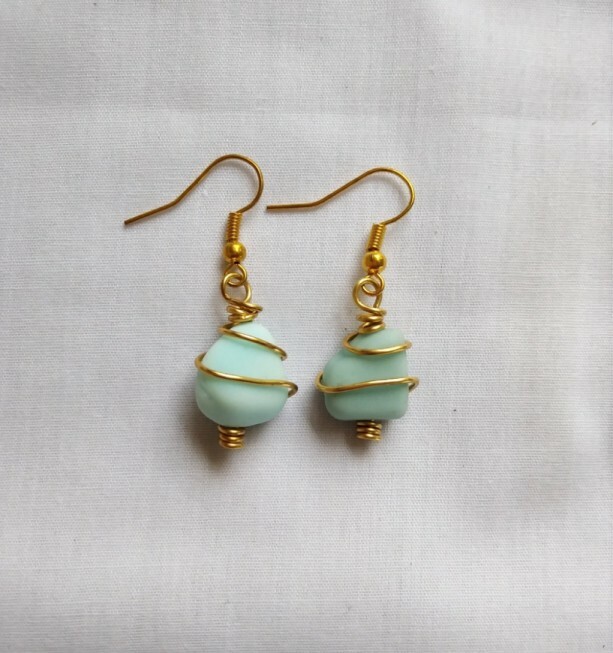 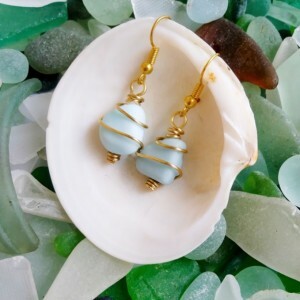 Wrapped in shining, gold toned artistic wire, these earrings are the perfect compliment to any outfit, and can go from the beach to dinner with ease. 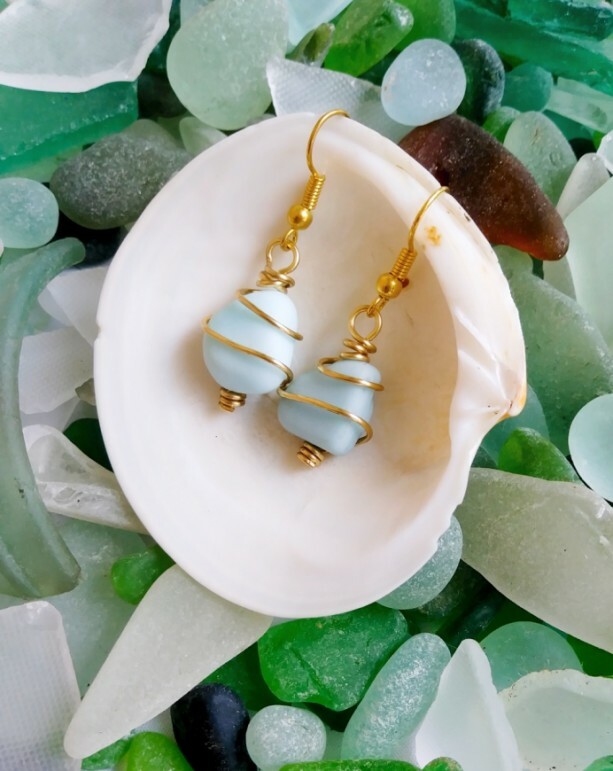 -Pale blue milk glass from the beaches of England -Vibrant gold toned artistic wire wrapping -Glass measures approximately .75" x .5"